Remarkably, the hay bales tied to the back of the motorbike stayed in place, barely wobbling as the young man careened down the road. The ride wasn’t long, but the cargo was precious. The hay was expensive, having been trucked in from miles away, and could be the difference between life and death for Grevy’s zebras in drought ridden Kenya. Not a drop of rain had fallen in northern Kenya all year, triggering a scarcity of life-sustaining water and a wave of starvation as vegetation dried up leaving vast patches of brown, dusty earth. This quickly sparked a crisis for Grevy’s zebras. Conservationists at Grevy’s Zebra Trust (GZT) took emergency action, digging wells to make groundwater more accessible to the zebras, and spending months literally feeding Grevy’s to keep them alive. It isn’t standard practice to feed wildlife like this, there are strict protocols to adhere to and it’s truly a last-ditch effort used in severe situations. But in a small population of endangered animals every individual is critical, so every attempt to save them must be taken. This response was inspired by lessons learned the hard way; eight years earlier there was a similar drought, but interventions were too late. After the 2009 drought GZT and other conservation organizations developed guidelines for feeding Grevy’s zebras should such a catastrophe occur again. This year, GZT put this plan into action…trucking in hay, storing it in empty classrooms and storerooms, and hiring trusted people to distribute it where the zebras were sure to find it. On community land, people and livestock use waterholes during the day, so the Grevy’s only drink at night. To get to and from waterholes, they walk along specific corridors—a sort of Grevy’s zebra highway—it’s along these corridors where GZT left the hay. In November, rain finally returned, bringing a cautious relief to the region. While the rain has helped, the grasses haven’t recovered as quickly as expected—overgrazing from livestock has hindered that rejuvenation. With the immediate emergency of the drought behind them, the health of the grasslands is now the long-term focus for GZT. They emerged from the drought stronger, more resilient, better able to respond to crises, and more determined than ever to protect Grevy’s zebras. Now, they are particularly focused on fostering better livestock grazing practices to ensure healthy grasslands. 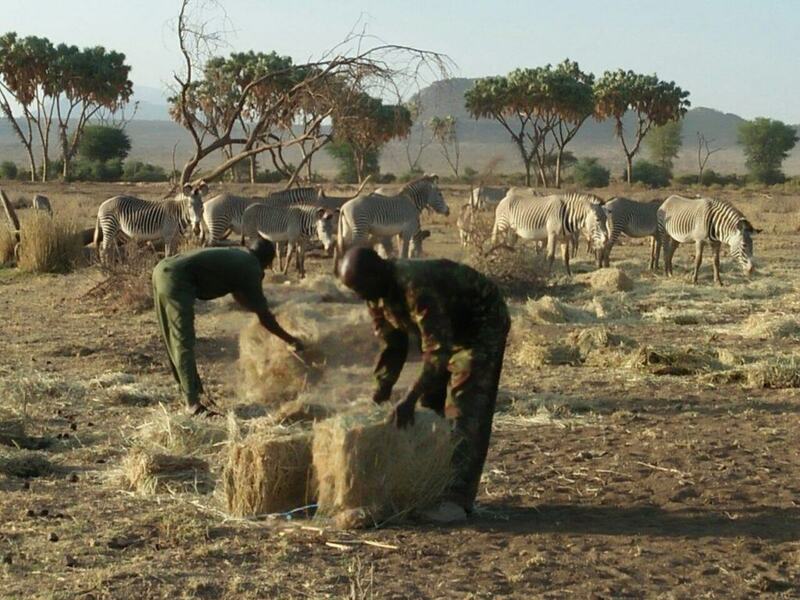 This is the best approach to ensure there is plenty of food for Grevy’s zebras, rain or shine. Learn more about Grevy’s Zebra Trust.